It gets its name from a famous bandit who used it as his hideout for a long time. 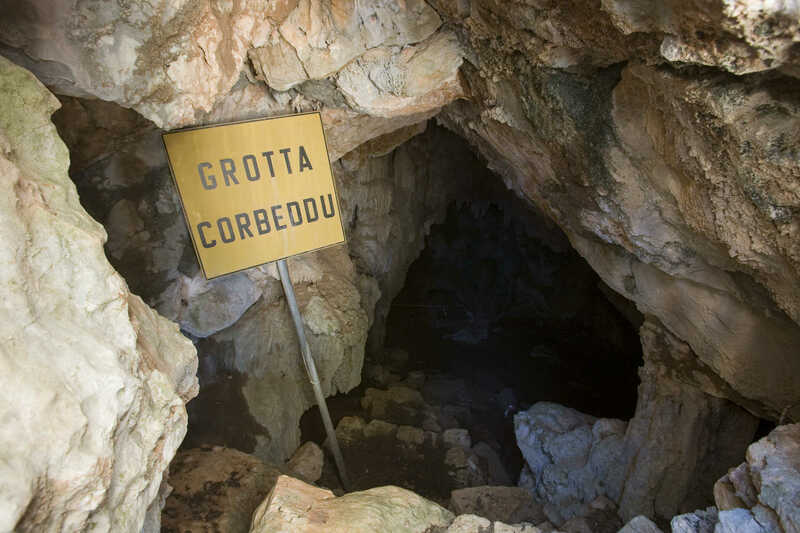 The Corbeddu cave is located in the majestic Valley of Lanaittu, in the territory of Oliena, close to Nuoro: it is 130 metres long and has three rooms. In the second one, the most ancient findings of homo sapiens in Sardinia were unearthed. The first space is large dry and illuminated by a faint light: Giovanni Corbeddu Salis lived here. A corridor leads to a second room, where the excavations unearthed, as well as more recent findings - from the Mesolithic and Early Neolithic periods - a temporal bone and a jaw of the same individual, dating back to 13,500 years ago. More recently, the phalanx of a hand, dating back to twenty thousand years ago: they are the oldest human remains on a Mediterranean island. Studies have shown that they are different from those of other European populations from the same period. Together, other tools made of bone and stone, used in everyday life, were unearthed. In the same room, fossils of an ancestor of the deer and of the prolagus sardus, a rodent that became extinct twenty million years ago, were also found. A short tunnel with limestone columns unites a second and third space, which is full of stalagmites. 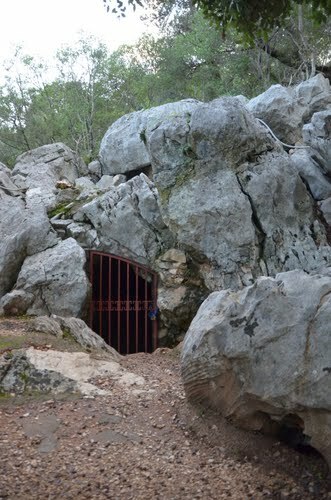 The cave ends with the entrance to a well that, in the past, linked it to the vast hypogeum system of the Supramonte mountain range. The plateau, one of the most remote treasure chests on the Island, is dotted with towers, valleys, springs and other deep caves, like Ispinigoli (in the territory of Dorgali) and Sa Oche and Su Bentu (in that of Oliena) among the largest in Europe, with rooms embellished by stalactites and stalagmites, tunnels, pavements covered in crystals, underwater lakes and little sandy beaches. Thirty kilometres of underground depths along which runs a river that reaches the springs of On Gologone, a national monument. 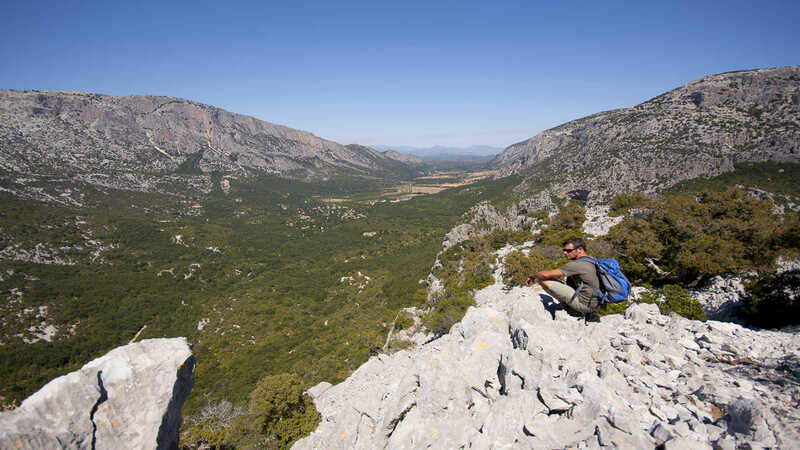 The feeling of immensity will accompany you to Tiscali, stronghold of the Nuragic populations in the valley of Lanaittu, an ideal place for trekking. After visits and excursions to Oliena, at the foot of Mount Corrasi, you can refresh yourself with some local delicacies: cheeses, sausage and salami and wines, like Nepente. The beginning of September is a good time, on the occasion of Autumn in Barbagia. Oliena is reached from Nuoro - coming along the SS 131 bis and taking the SP 22. To reach the cave it is necessary to follow a path that goes off to the right of the entrance of Sa Oche and it goes up into the mountain. Do you like this place? Barbagia and Nuoro could be your ideal destinations.